Since no one wants to carry two phones, most people use their personal handset for work activities. The BYOD (bring your own device) trend has businesses struggling to make work-related data and apps available on workers’ personal phones--and secure. 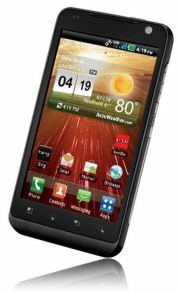 VMware has an answer, which its partner LG is demonstrating at CES 2012: a tool to create a virtual work phone on an employee-owned device. VMware has extended its virtual machine environment tools to mobile devices with its Mobile Virtualization Platform (MVP). This is meant to solve four key issues: securing employee-owned devices that access corporate resources; managing all mobile devices from a single interface; allowing employees to use their own devices; and letting a wide variety of devices connect to the company network. VMware MVP could provide a secure environment on an employee-owned smartphone. VMware MVP installs like any other app on an employee’s device. Once installed, the user taps an icon to launch the virtual machine, which takes over the screen and displays the work environment your business wishes to provide. This will include custom settings that provide the desired level of security as well as a private app store, where only apps pre-approved by your company can be installed. LG demonstrated an Android virtual machine on its Revolution VS910 handset. VMware has announced partnerships with both LG and Verizon on the effort. It appears the partnership is going strong, as LG is showing off its Verizon Revolution phone running Android virtual machines in VMware’s MVP. While the Revolution is just a demo, LG says the technology will be available through Verizon and Telefonica in “the coming months” on new devices only. The main difference between the two carriers’ solutions will be that Verizon’s will use only one telephone number, but Telefonica’s can enable two numbers thanks to dual-SIM cards. Though initially targeted at enterprises, this technology is likely to simplify and eventually find its way into small businesses. The catch is that it appears to only work on devices that have a VMware module loaded on them by the manufacturer or carrier. So far, VMware’s only hardware partners are LG and Samsung, and the only carriers are Verizon and Telefonica of Spain--and none have officially announced devices that will include the technology. If, in the end, only select devices work with MVP, then it will limited to businesses that restrict employees to using only those devices. However, if it can be made to run on any Android or iOS smartphone, look for MVP to make waves in business as it brings order to BYOD.